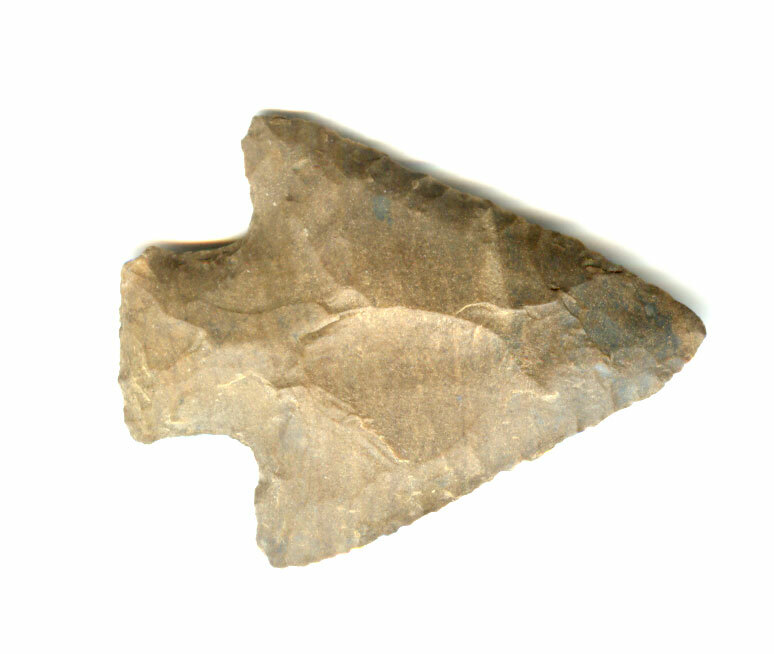 A Small Size, Visibly Aged And Anciently Use Sharpened, Typically Made, Cotaco Creek Point That Exhibits Surface Dulling Aging And Overall Stone Patination, Aged Surface Deposits, Aging At The Stem Notching, Correct Style Base And Overall Shape, Aged Blade Sharpening Use Reduction, Correct Finely Serrated Blade Edges And Rounded Tangs, Correct Material And Manufacture For The Area Found. Ex-Jim Bennett Collection. This Is A Nice Example Displaying Age And Use Wear.